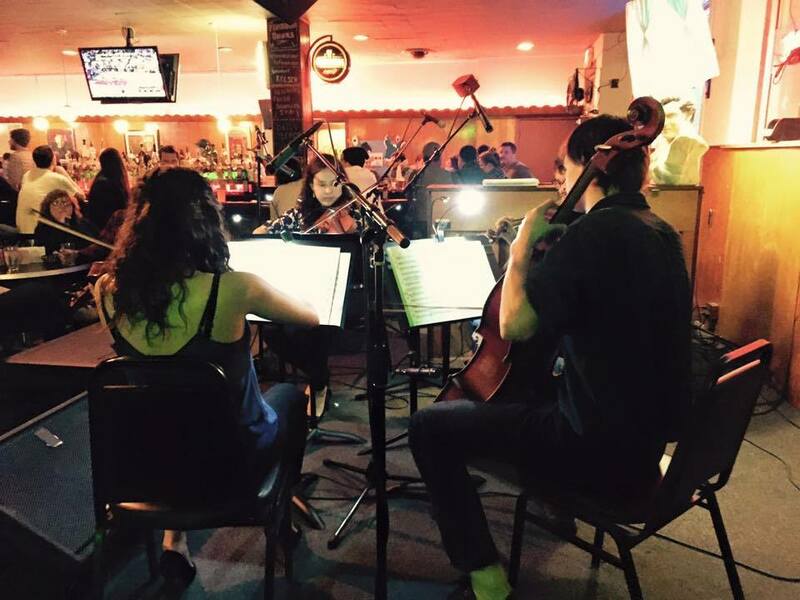 Tuesday night’s Classical Revolution Cleveland event at the Euclid Tavern was unique in a number of ways. First, it was perhaps the most diverse group of performers to-date, with musicians joining us from Kent State, Oberlin Conservatory, Classical Rev Detroit, and graduate students and alumni from the Cleveland Institute of Music… That kind of mixed bag is exactly what we’re going for in 2016! After an opening set from Kent State’s Quartet-in-Residence, the Heimat Quartet, Japanese Shakuhachi player Shawn Head returned to CRC (this time, to a different stage), to present this unique genre of Zen Buddhist music. From there, the night was a mix of virtuosic solo violin, duos for violin and viola, flute and bassoon, and violin and cello. Exactly two years ago, The Happy Dog family lost one of its co-owners suddenly in a tragic accident. We wanted to close our night at the Euclid Tavern, the bar and dream he worked so hard to realize, with a tribute to the Sean Kilbane. As such, we dedicated our performance of the Lento from Dvorak’s “American” Quartet in F Major, along with a cover of John Lennon’s “Imagine” to Kilbane’s memory and the Happy Dog family. On a lighter note, Classical Rev Cleveland is excited to add two more performances in the month of February. We’ll be doing a house concert featuring the CRC Quartet and Cleveland Cello Quartet at a residence in Gordon Square on Saturday evening, February 20, and a night of music at Gunselman’s Tavern in Fairview Park on Thursday evening, February 25. Stay tuned to our Facebook page for event information and time specifics. Previous CRC Quartet Recital at Heights Arts! Next A night of new (and old) musical friendships.